Some couples think about holding a wedding not in the usual places, but in interesting places. They want to be different, We have prepared a wedding package on Mount Olympos, located at an altitude of 2365 meters in Antalya, for those who want to have a wedding in interesting place. For couples who want civil marriage on the cable car Olympos, we specially bring a official marriage officer to a height of 2365 meters. This place is incredibly fascinating, because love of the heroes of the myths of Zeus and Hera took place was on Mount Olympos. Looking at the Mediterranean coast of Antalya from an altitude of 2365 meters is an incredible feeling, if you strech out arm, you can take care of the clouds. Feelings that go into the green forests and get lost. It is impossible that you did not feel romance under the influence of the love of Zeus and Hera and dozens of other feelings on Mount Olympos. 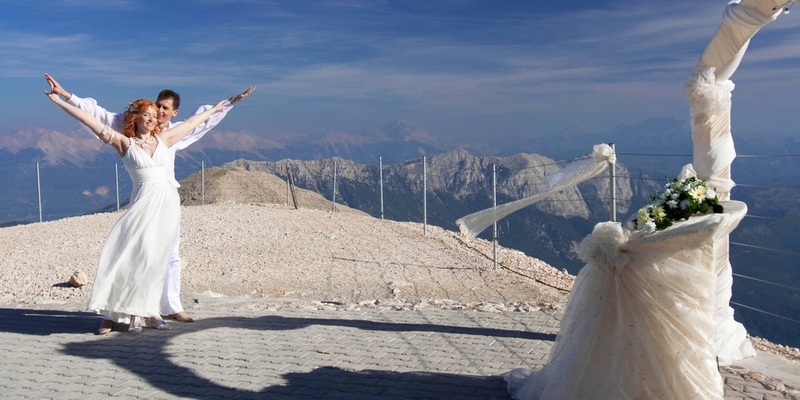 Have a dream wedding on Olympos Mountain, where once Zeus declared his love to Hera.